I love block printing.this is maheshwari sari. 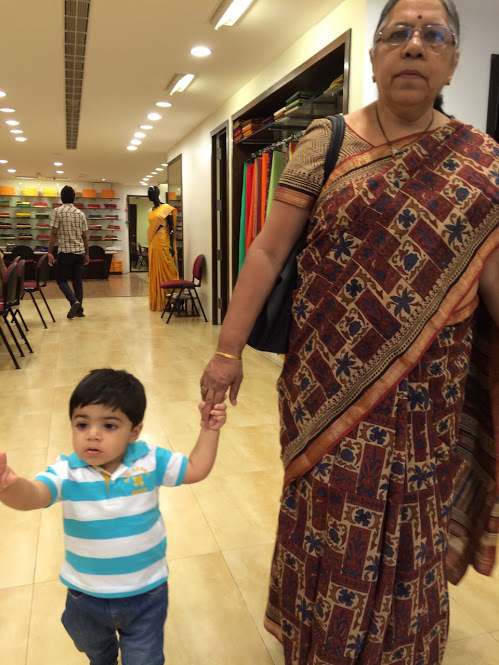 Enjoying good time with my grandson.His mother is busy buying sari in banglore showroom. #100sareepact worked wonders for me!